$5.98 /SF (8 SF per Box) Contact us for pricing and quantity discounts. Local pickup and direct shipping anywhere in the USA. Warm browns, rich coppers, and deep brown tones swirl together effortlessly in Mystique Multicolor Porcelain Pavers and copings. These beautiful matte finished pavers are easy to clean and low maintenance, and are perfect for a variety of applications, including floors in both residential and commercial properties. Suitable for busy kitchens, baths, entries, and other areas where a large format paver is desired for both form, and function. 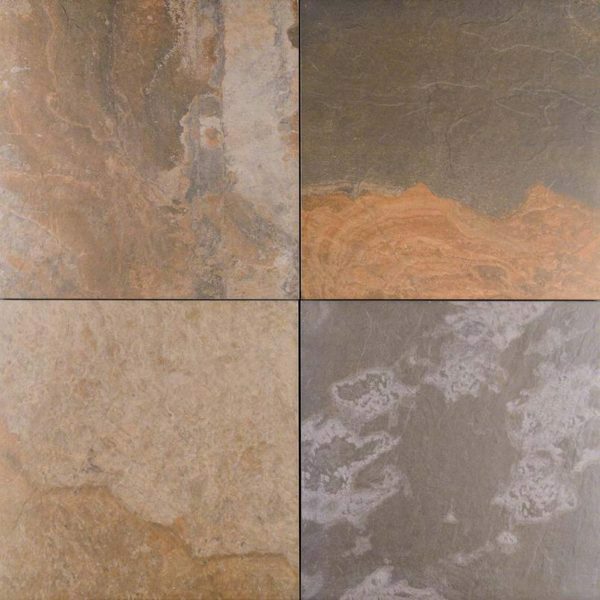 Mystique Multicolor Porcelain large format 24×24 matte finished pavers complement a variety of design styles, from traditional to contemporary, and are particularly suited for use in busy kitchens and baths.